There was a knock at the door, I opened it and a smiley postman handed me a HUGE BOX. "Is it your Birthday?" he asked. "Yes on Saturday" I replied. "Happy Birthday for then," he said as he walked away from our front door off to deliver more post. The box was about the size of Lewis. He was mega excited to see what was inside as was I. I slowly opened up the box and was greeted with a stunning bouquet of flowers. Now I'm not gonna lie. I'm not really a flowers kinda girl. I appreciate flowers and their beauty, however, I rarely get flowers or treat myself to flowers so this was a lovely surprise. I did have a panic though on opening the box as I don't own any vases! 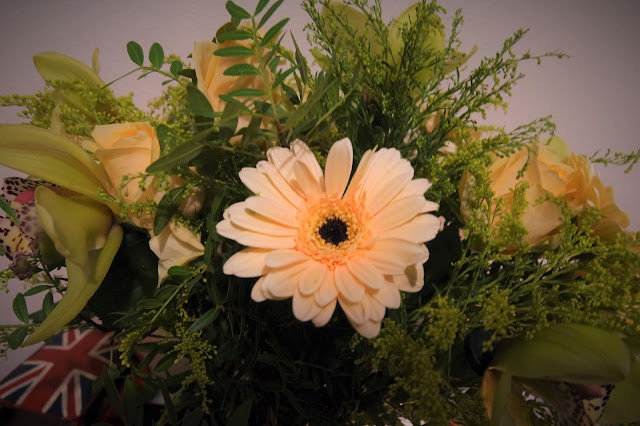 I pulled the bouquet carefully out of the box and there in the bottom of the box was a vase along with instructions and plant food. Thank goodness for that, panic over. 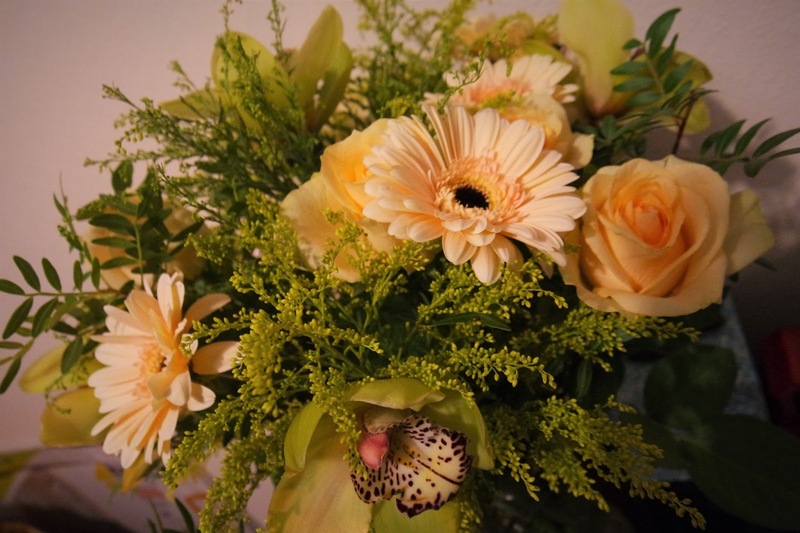 This particular bouquet is the New York one. Just in case you wanted to get yourself one or perhaps share this post with the other half in the hope that they get the hint! 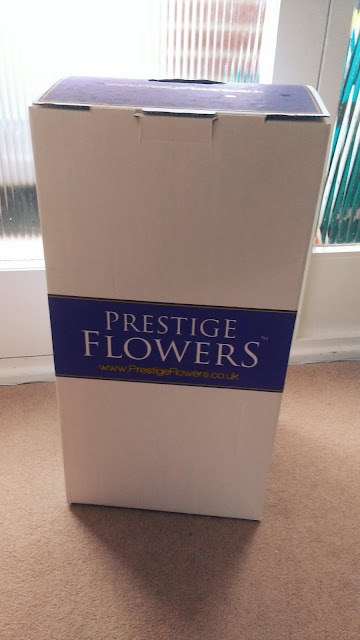 If you're anything like me you may worry about the quality and freshness of flowers sent by post. I can report my friends that you don't need to worry about freshness or quality when ordering flowers for Christmas from Prestige Flowers. 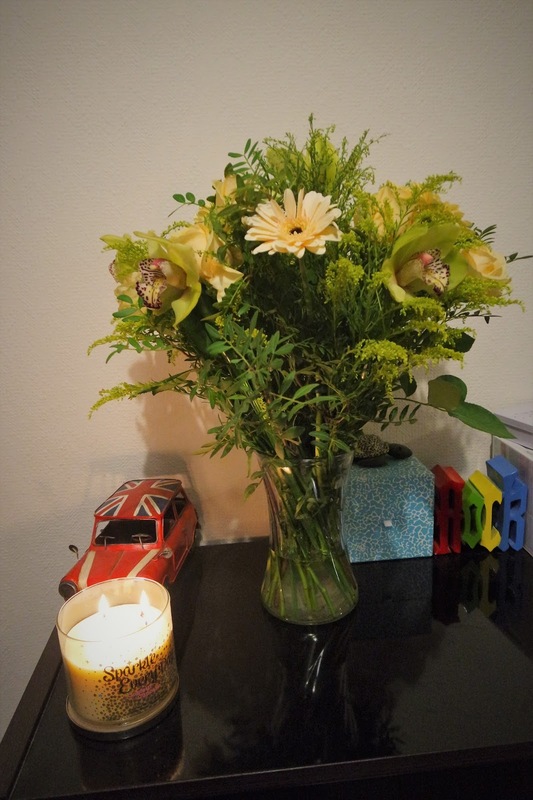 The bouquet I received for my Birthday was beautifully arranged with super fresh flowers. I'm glad that they sent me a yellow bouquet as they really do look gorgeous in the living room surrounded by all my gold bling! 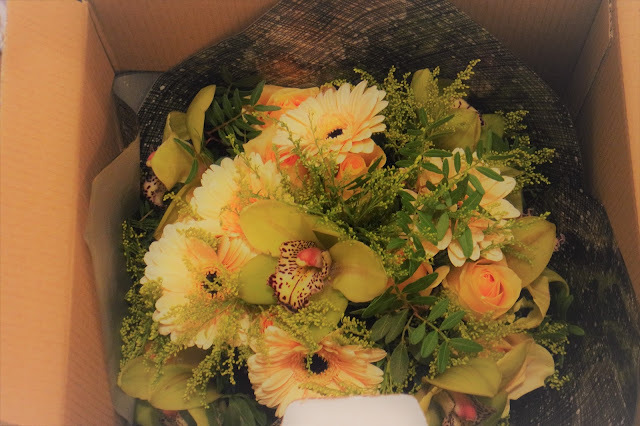 I'd like to say THANK YOU PRESTIGE FLOWERS for sending me such a beautiful bouquet for my up and coming Birthday. They really made me smile.